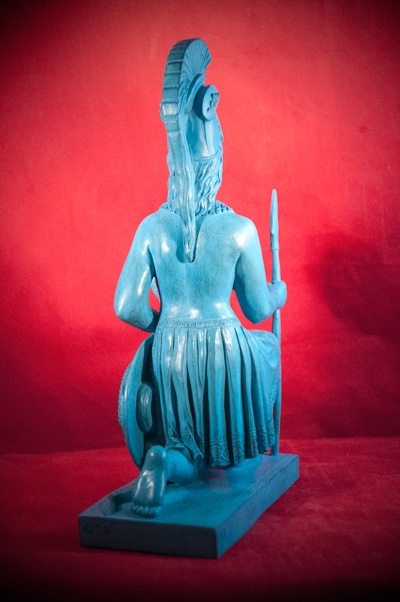 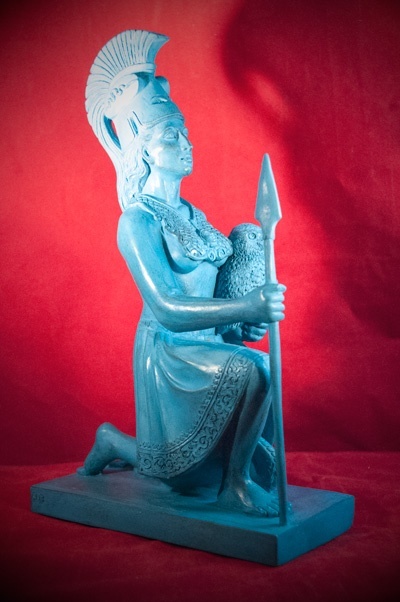 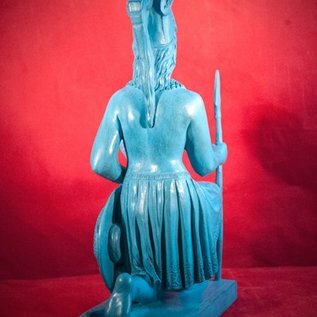 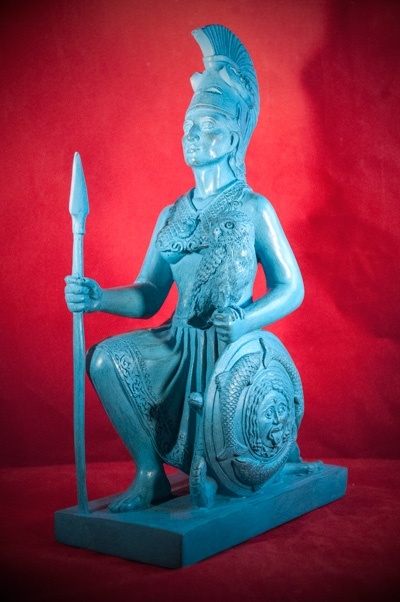 Greek Goddess Athena with her Owl of Wisdom and Spear of Protection.<br><br>[design by Debtosh (Bacchu) Bose] 10 1/2"" resin statue, blue gold color finish. 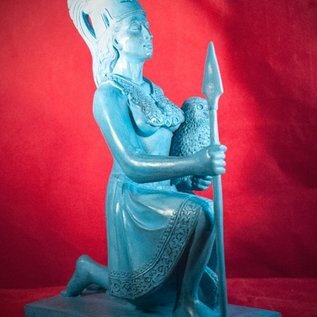 Greek Goddess Athena with her Owl of Wisdom and Spear of Protection. 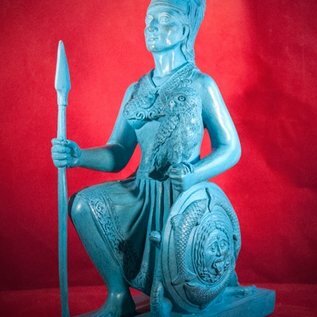 [design by Debtosh (Bacchu) Bose] 10 1/2"" resin statue, blue gold color finish.